Guernsey and Sweden both gain victories over Israel; Norway impress with bat and ball in wins over Czech Republic and Gibraltar. France and Portugal started the day with a nail-biting match up that went down to the last ball. Needing 3 to win, Portugal only managed a single to give France their first victory of the tournament. In the afternoon match, France struggled against an impressive German side and lost convincingly. 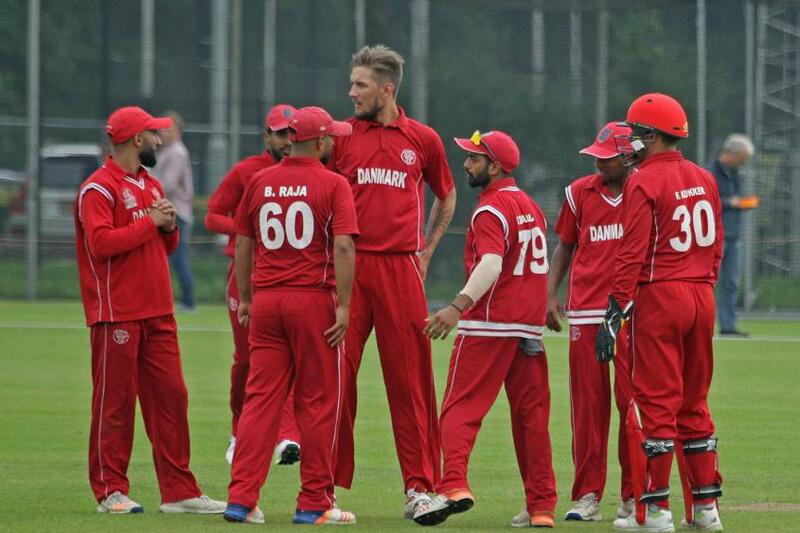 Over in Salland, tournament favourites Denmark dispatched Cyprus before coming up against a strong Austrian side, narrowly securing a 7-run victory to put them clear at the top of the group with three wins from three. In Amstelveen, Jersey comfortably chased down Spain’s total in the morning fixture, before dispatching a determined Isle of Man side looking to capitalise on their victory from the previous afternoon. In the other group matches, Finland suffered defeat twice in a row. In the first match against Belgium, defeat came with the penultimate ball of the innings, leaving Finland to rue their first innings collapse which saw the loss of 8 wickets in just 16 balls. In the afternoon game, Italy proved too strong for the Finns and successfully defended their total of 147. Despite determined batting from the Israel team which saw them twice bat out their overs in full, Guernsey and Sweden proved too much and both secured wins against the Israelis. 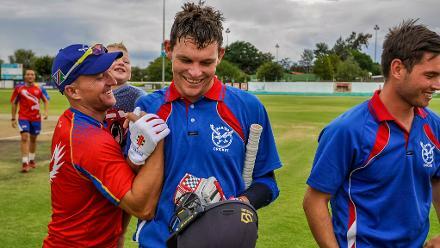 Over at VOC, Norway chased down Czech Republic’s total of 41 in a morning match that was reduced to 9 overs due to a wet pitch from the night’s rainfall. Norway then repeated the feat against Gibraltar, first restricting them to 58 and then chasing down the total within 10 overs. Today’s results leave Group C clearly divided, with three teams battling it out for the top two spots all on equal points, whilst the other three sides will each be hoping to record a first victory in their coming fixtures. Friday will see the three abandoned fixtures from day one rescheduled, with the top two seeds from Group B (Jersey vs Italy), a potential decider for one of the qualifying spots in Group C (Sweden vs Norway) and a match between two sides both looking to record their first wins (Israel vs Gibraltar).